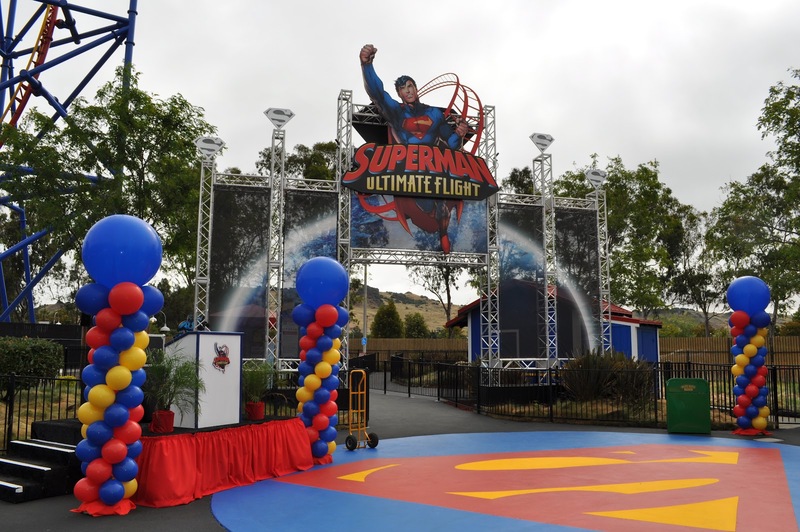 It’s a bird, it’s a plane, it’s Superman Ultimate Flight at Six Flags Discovery Kingdom! 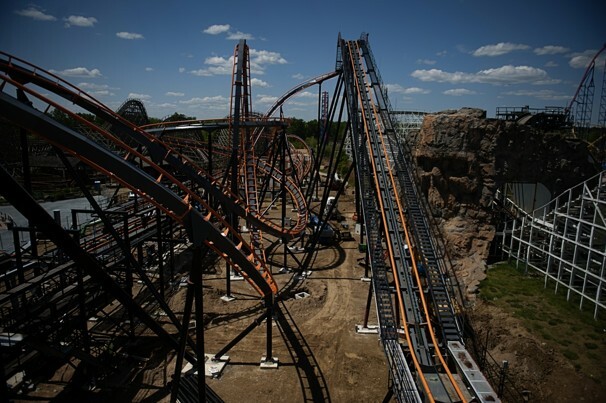 The one-of-a-kind Premier launched coaster opened at Six Flags Discovery Kingdom this weekend in the former location of Zonga, and more recently Pandemonium. 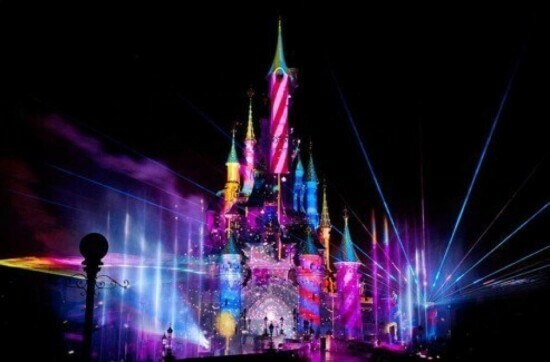 The ride itself is fantastic. The launches are quick and intense, but what really surprises is the abundance of airtime, which is enough to easily overshadow any other California ride. 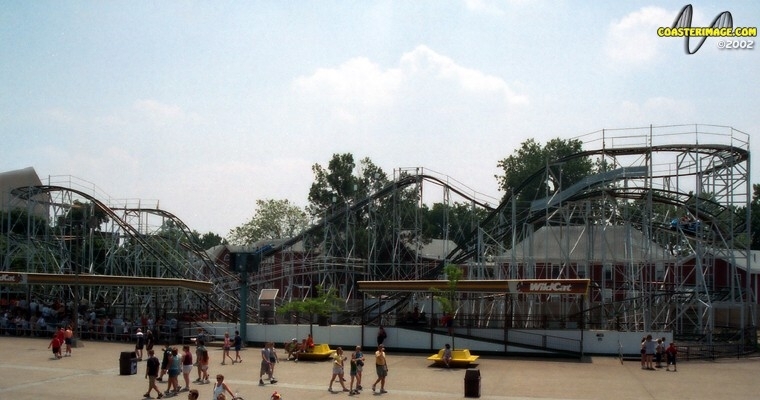 Cresting over the vertical incline into the barrel roll as well as dropping off the “cliffhanger drop” offers unexpected doses of ejector airtime. The large barrel roll offers a huge thrill from the hang time you experience as you very slowly roll through. And the base of the non-inverting loop gives some pretty decent positive Gs. I heard some riders call it one of the best minutes on a roller coaster and many call this the most intense coasters on the west coast while ranking highly on people’s personal top 10 lists. All in all, it’s clear the park has a real winner on their hands that deserves to be ridden by anyone who can make it to the park. Every review I’ve read has described this as a thrill machine, and I am shocked to hear that this ride is forcing enthusiasts to rethink their Top 10 lists as they think it’s so darn fun! 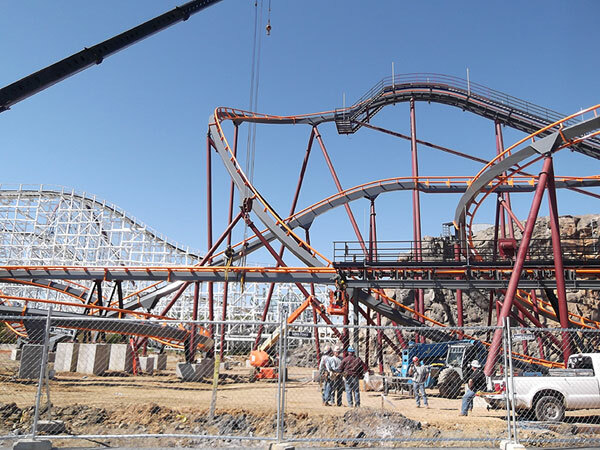 This ride looks like a winner for Six Flags, and for the manufacturer Premier. 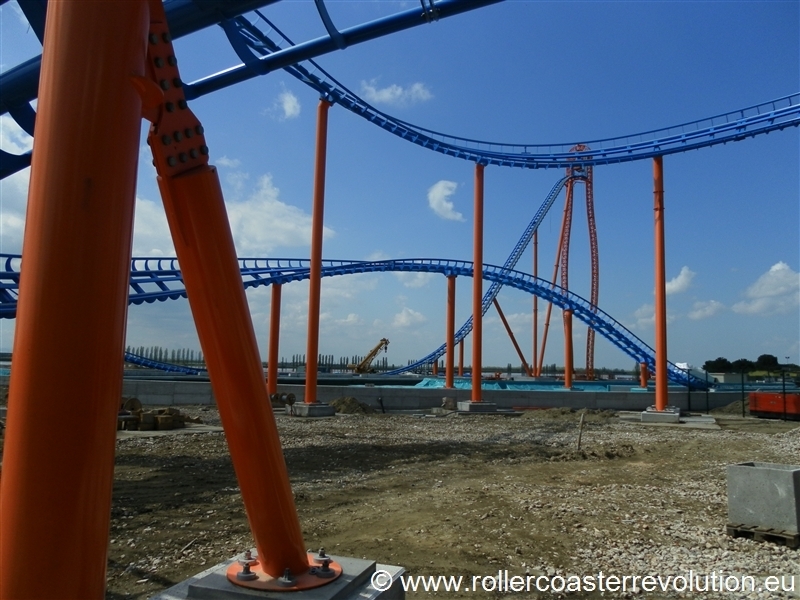 This coaster joins the trending intense-compact coasters like the Intamin Zac-Spin model. 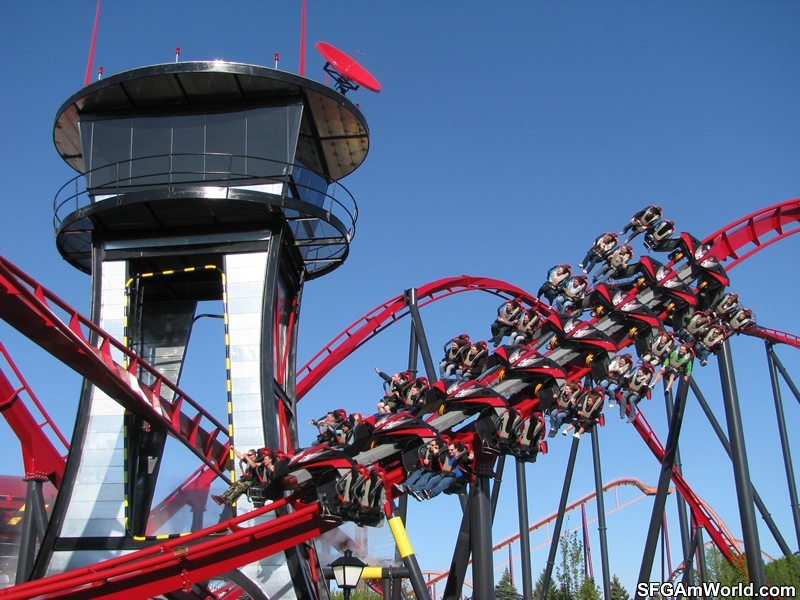 This looks like a ride to influence, and finalize any coaster enthusiast’s trip to the Bay Area. 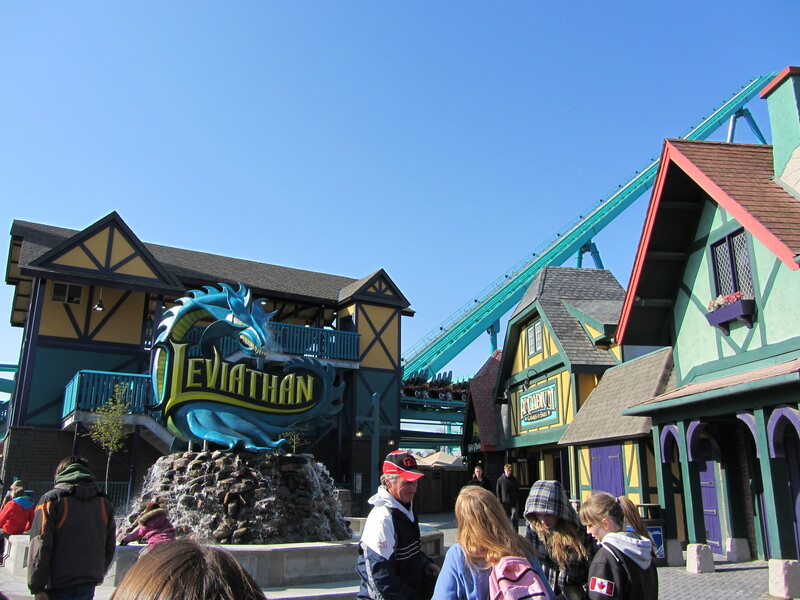 Canada’s Wonderland’s newest coaster Leviathan held its previews on Friday April 27th, and the folks from PureCoaster were there to check it out! 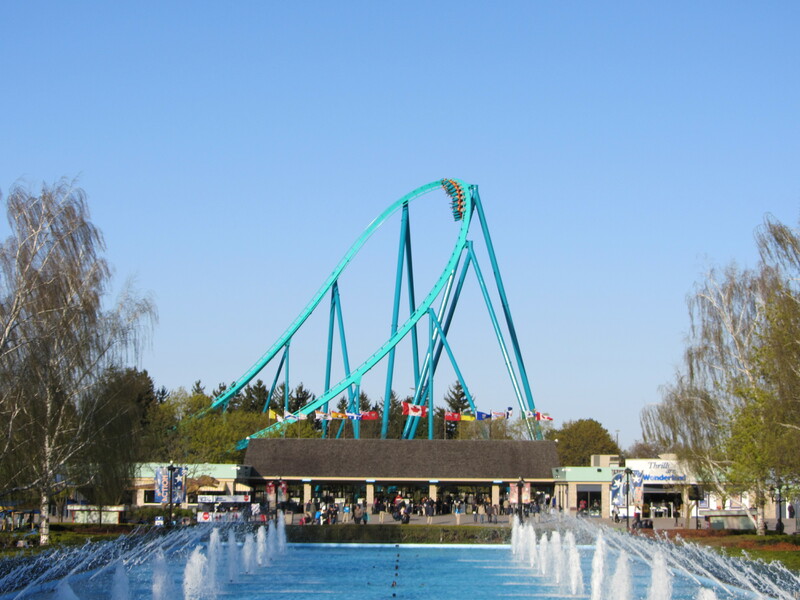 With the addition of Leviathan, Canada’s Wonderland is now that much better of a park. 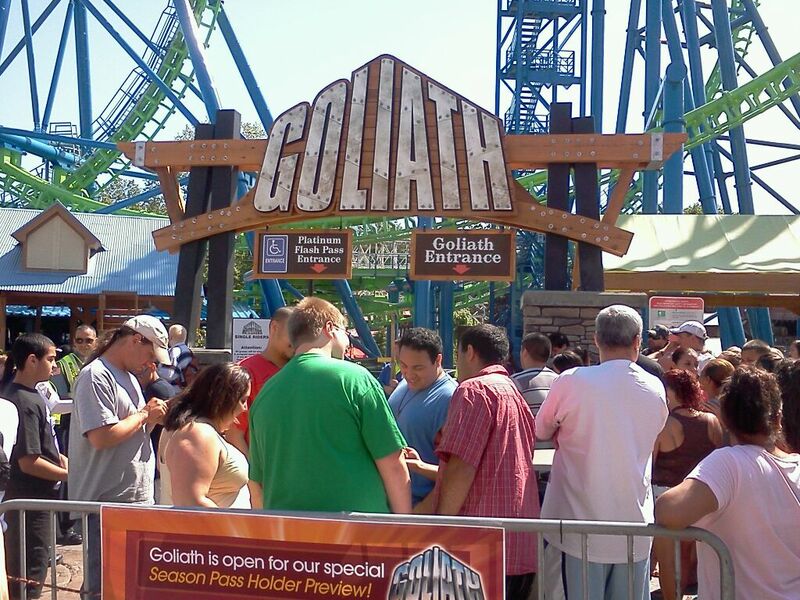 Leviathan dominates the park, especially the entrance. The hammerhead turn takes up that whole little park in front of the entrance. Plus, the lift hill is visible from anywhere, and when you’re driving to the park, it’s the first thing you’ll see on the horizon. 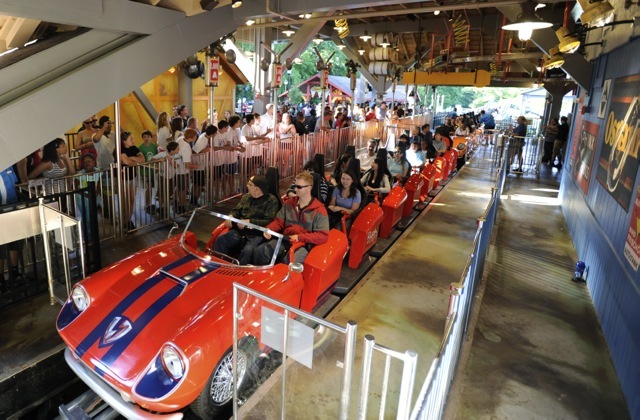 The trains do in fact feature those cool zero car add-ons with snake head theming like on Diamondback, and it should be noted that this coaster is using classic style four across cars instead of stadium seating like on Behemoth. As for theming, I’m glad Wonderland continued the Medieval theming, and not only on the station, but in the former Cyber Central arcade building. 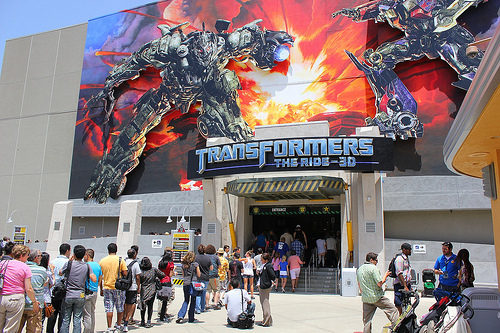 It used to look really out of place with a large futuristic metal facade, but in the off season, the completely redid it, and in the photo on the right, you can see everything fits together seamlessly. Leviathan is an absolutely fantastic ride. 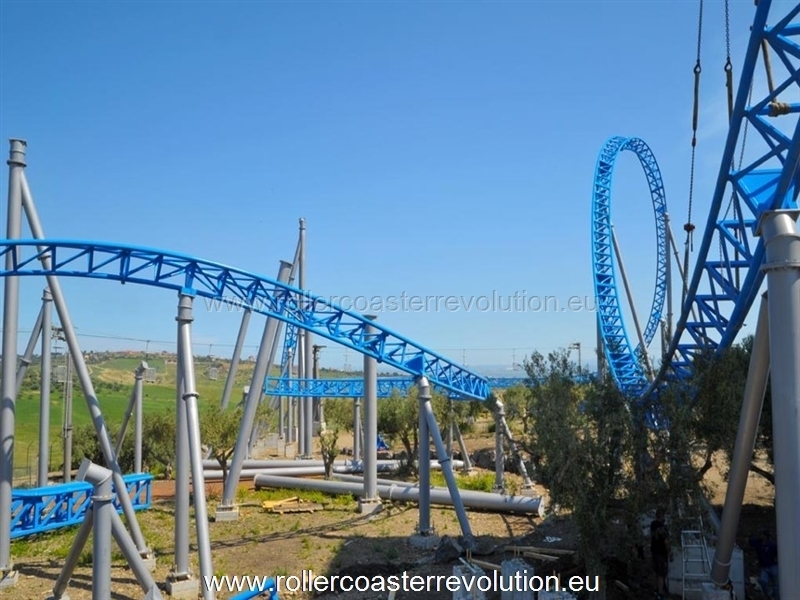 You pull amazing g’s on the drop, and you maintain high speeds throughout the ride. 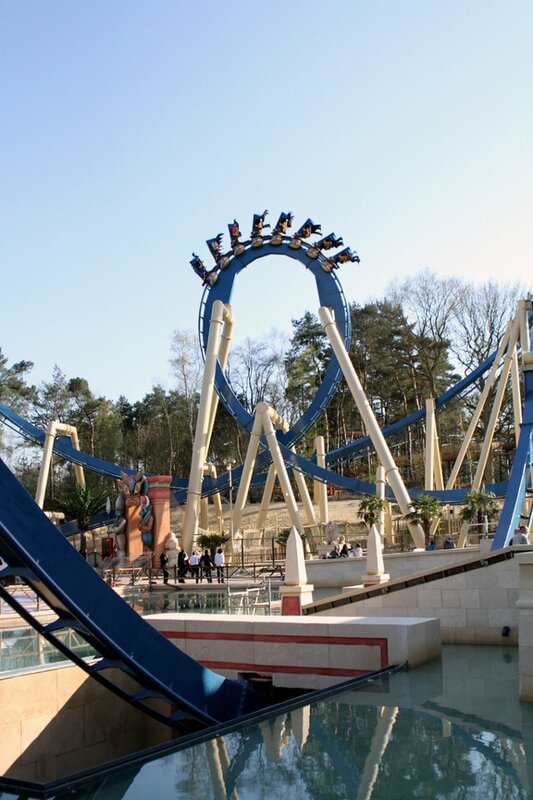 The high speed curve is surprisingly fun, and yes you do pull a little airtime on it! Each element is executed with speed and elegance, Leviathan is a coaster that should be on an enthusiast’s bucket list! 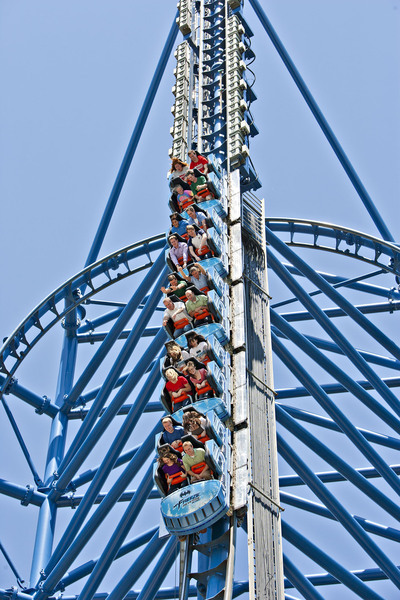 if you ever have a chance to come up to Canada’s Wonderland, take it! And if you’re just dying to ride this thing, but sadly you can’t make it to the park, CWMania shot a great POV of the ride on preview night!